On Wednesday the 10th June some of the Inishowen Tourism Staff ventured from the office to Dunfanaghy in the hope of meeting Ryan Turbidy. 2FM Radio were broadcasting the Ryan Tubridy Morning Show live and we were hoping to meet the man himself and invite him to Inishowen. 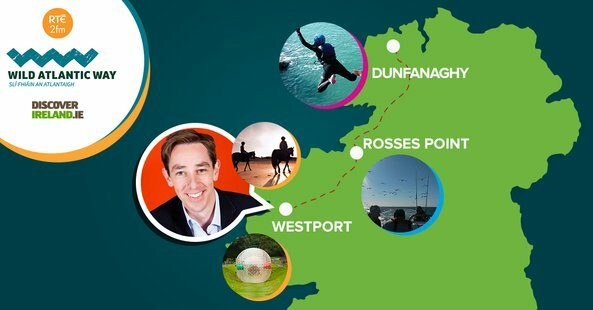 In the second year of this discover Ireland Campaign instigated by Failte Ireland, the 2FM team broadcasted live from Westport, Rosses Point in Sligo and of course Dunfanaghy in Co. Donegal. Every year a new destination along the Wild Atlantic Way is picked and our aim was to get this show to Inishowen next year. 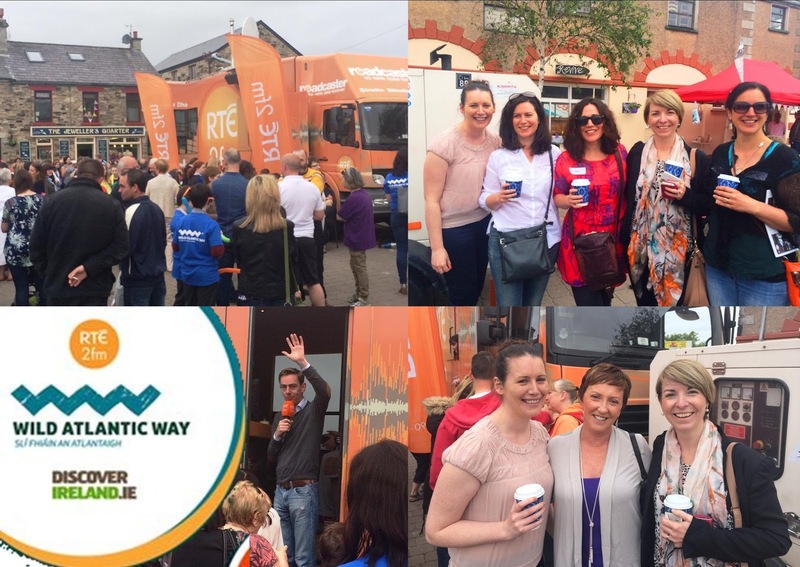 On arrival to Dunfanaghy, in true Donegal style the locals and the weather welcomed the roadcaster and the 2FM Radio team with open arms. Ryan made every attempt to speak to the local children and local business people, He was particularly interested on how the Wild Atlantic Way was having an impact on the area. The Locals spoke highly of the Wild Atlantic Way and have already seen an increase in visitors to the area. Ryan himself spoke very highly of the great tourism product in Dunfanaghy, participating in some activities himself and more importantly told all this listeners about his experience. He didn’t have the time to experience everything himself first hand however Emma Higgins who won an overall competition to become the Wild Atlantic Wanderer truly enjoyed her time in the west of Ireland. Over the course of the week Emma took part in a number of activities including Pizza making, cave runs, seaweed baths, coasteering and surfing in Dunfanaghy. She then reported into Ryan about all her adventures, where she was, who she met and what she enjoyed each day. This is one part of a number of outside broadcasts that will see Ryan Tubridy focus on the west coast tourism route, encouraging Irish holidaymakers to get out and discover the wonders of Ireland’s coastal route – The Wild Atlantic Way. The Staff at Inishowen Tourism did get the opportunity to speak with Ryan and provided him with literature for the area, he did emphasis that it's an area that he would love to visit so let's hope we will be welcoming him and the roadcoaster into the peninsula in the near future.